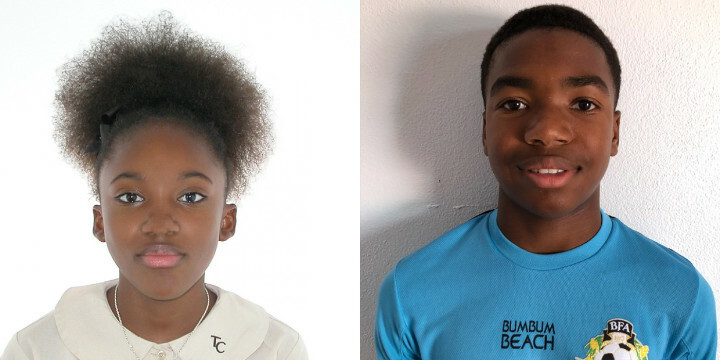 The Bahamas Football Association, the governing body for soccer in the Bahamas, announced the names of young Bahamian football players who will participate in this summer’s FOOTBALL FOR FRIENDSHIP program in Moscow, Russia. The youth centered empowerment program is sponsored by Gazprom, a major sponsor of FIFA. The youngsters selected are Aliah Rodriguez, who attends Temple Christian School and plays with Cavalier FC and Jordin Wilson who attends, Lyford Cay School and plays with Western Warriors FC. The youngsters will be accompanied on their trip by chaperones Mrs. Saskia D’Aguilar and Mrs. Simone Wilson. They will attend the children’s social program from June 8th, 2018-June 15th, 2018 in Moscow Russia right before the start of the 2018 FIFA World Cup. Aliah will gain further understanding of sports journalism and media for football while Jordin will actively participate in football training, with like minded youths from all over the globe. The aim of the Football for Friendship is to develop youth football by championing youth sports and a healthy lifestyle as well as by promoting tolerance and friendship among children from different countries. Its key values are friendship, equality, fairness, health peace, devotion victory, tradition and honor. This year’s program will unite young participants- 12 year old footballers- and youth journalists from 211 countries and regions. F4F is a unique place where young participants of different backgrounds, nationalities and physical capabilities not only meet and communicate with their peers from other countries, as well as with famous football players and public figures, but also become young ambassadors to promote universal values themselves among their peers.